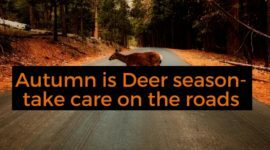 Motorists are being urged to approach the roads with caution tomorrow, with so-called ‘Frantic Friday’ set to see droves of motorists share the road with last-day commuters. Around 1.25 million leisure journeys are set to occur on Friday alongside final pre-Christmas journeys from work. The RAC is advising those planning to embark on lengthy journeys to avoid the clash if they can. 11.5 million getway journeys are set to take place prior to Christmas Day, with vast amounts of congestion also set for Christmas Eve. 1.87 million leisure journeys are due to take place on Christmas Eve, with the hours between 10am and 2pm set to be incredibly busy according to RAC Traffic Watch data. 99% of the motorways and major A-roads in England will be free of roadworks in the days leading up to Christmas. 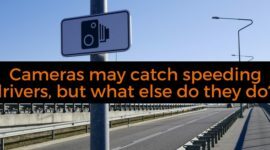 Nonetheless, Rod Dennis, a spokesman for RAC said “it only takes a single accident or breakdown in some locations to bring traffic grinding to a halt”, advising drivers to plan ahead and avoid peak times if possible. 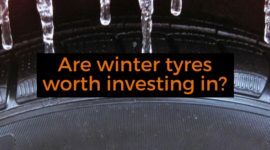 He also suggested that motorists could quickly check the condition of the vehicles to avoid breaking down en route to their destination. A substantial amount of traffic is also set to be seen on Boxing Day thanks to sales events, football matches and visits to see family and friends. It’s predicted that 5.3 million journeys will take place on December 26th. 17.5 million leisure trips are due to occur between Christmas Day and New Year’s Eve. 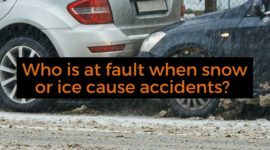 At One Call Accident Management, we can come to your assistance if you do have an accident out on the roads over the festive period. We are one of the most well-known and best-regarded companies in our field and are passionate about putting solutions in place so you can get back on the road in no time at all. We have the experience, expertise and resources needed to provide all the assistance and advice you need following a road traffic accident, and can clear up much of the confusion and inconvenience caused by a traffic collision. We provide UK-wide assistance around the clock and can transport your damaged vehicle across the UK and even mainland Europe. We can arrange immediate delivery of an alternative suitable replacement for your vehicle, and can direct you to an approved bodyshop in your local area so the repair process can get underway quickly. What’s more is that we have robust relationships with a series of excellent lawyers who may be able to take on your case if your accident wasn’t your fault. 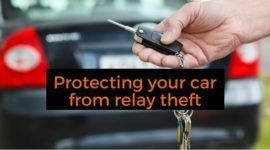 There is a great deal of useful information on our site, and our blog is regularly updated with reports on the latest issues affecting motorists including relay theft, the various functions of speed cameras and the benefits of winter tyres. Why not get in touch today if you have had an accident on the roads that wasn’t your fault and require swift assistance? You can reach us right now by using the contact form on the site, calling 0800 999 4042 or sending an e-mail to contact@onecallam.co.uk.